The long awaited Color Spectrum EPs have finally been officially announced. June 7th will be the day that this beautiful series of concept EPs will grace our presence. As stated in many interviews, the songs for each of the different colors will represent what they "feel like" to The Dear Hunter's mastermind Casey Crescenzo. 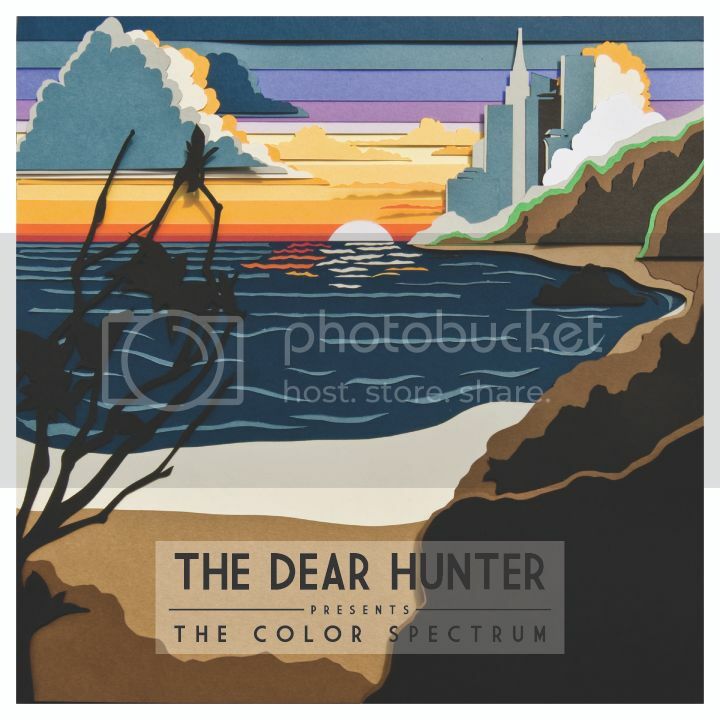 The concept of The Dear Hunter's Act series has already been a beautiful journey, and The Color Spectrum shouldn't be much different. It may even be a pleasant departure from the epic storyline of the band's other releases, and may allow one to more strongly enjoy and inhale each individual track. The series of EPs will be released as a vinyl box set, an absolutely stunning piece to add to anyone's collection. The progress of recording the EPs can be found on the band's special website.